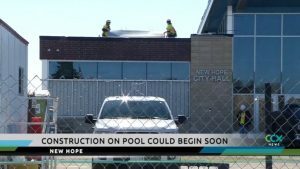 You could start seeing more action at the site of the future New Hope City pool. At next week’s city council meeting, council members will review several resolutions for contracts on projects in that area. If they are approved, construction could be just days away. New Hope City Pool. The city could move forward on a $11.3 million contract with Donlar Construction Company to build the 50-meeter pool. Two million dollars of that project came from state bonding money. The pool would also have amenities like water slides and bathhouses and could begin as soon as April 1. The projected completion date is June 2020. Demolition of Old City Hall. The city could approve a contract for demolition of city hall, theater, shelter building and hockey rink with Veit & Company for $250,811. The first phase of the removal will be the theater, shelter building and hockey rink and could begin in April. The city hall building would be removed as a second phase in late July or early August. Theater and Picnic Shelter. The city could approve a contract to build an outdoor theater and picnic shelter with American Liberty Construction for $1.74 million. The project will start in June, with an expected construction completion of October 2019. Use of the theater in the summer of 2020 will depend on the site restoration. 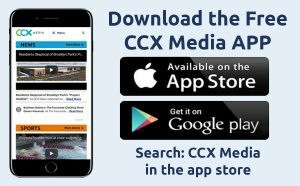 The contractor has completed several large park and recreation/public works projects over the last couple of years, including work for the cities of St. Paul, Plymouth, Hopkins and Woodbury. Skatepark. The city proving contract for construction of a skatepark with Custom Builders, Inc. for $249,213. The project will start in June, with an expected construction completion of October 2019. Use of the skatepark in the summer of 2020 will depend on the site restoration. To read more about the above projects that will be included in Monday night’s meeting, read through the agenda here.